The Rawdah (Arabic: الروضة; “The Garden”; also transliterated as “Rawda” or “Rauda”), sometimes called al-Rawdah al-Shareef (Arabic: الروضة الشريفة; “The Exalted Garden”) is one of the Riyadhul Jannah (Arabic: رياض الجنه; “Gardens of Paradise”) and refers to the area between the tomb of the Prophet ﷺ and his minbar. It is a place of immense spiritual and historical significance, and contains six pillars which stand on the exact places where the original columns, made from date palm trunks, stood during the life of the Prophet ﷺ.
Scholars have disagreed about the boundaries of the Rawdah. There are several hadiths that define the Rawdah boundaries. Between my house and my pulpit is one of the gardens of Paradise and my pulpit stands on my pool (al-Hawd). My pool is so large that it takes a month’s journey to cross it. Its water is whiter than milk, and its smell is nicer than musk, and its drinking cups are as numerous as the number of stars of the sky. Whoever drinks from it, will never be thirsty again. The pillars of this pulpit of mine are firmly embedded in Paradise. Between my grave and my pulpit is one of the gardens of paradise. My pulpit is on one of the gates of paradise. Between the pulpit and Aisha’s house is one of the gardens of paradise. Therefore, according to these three narrations, the Rawdah is the area between the pulpit and the Sacred Chamber, measuring about 26.5 metres from west to east along the original Southern (Qiblah) wall. It does not extend beyond this. 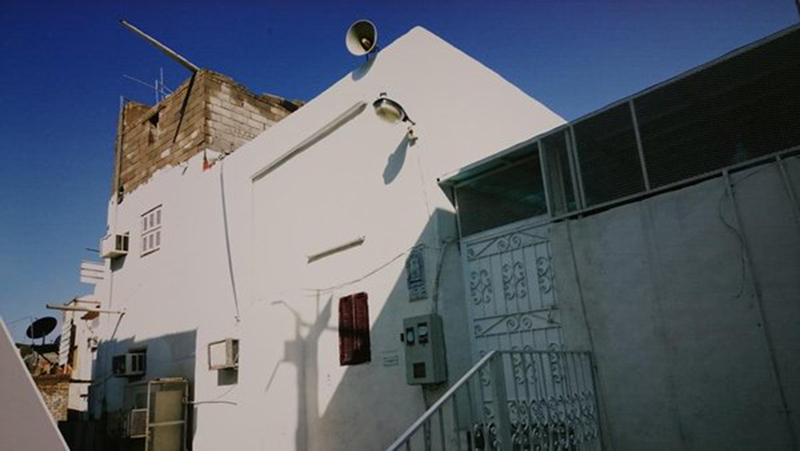 Between these houses (meaning the houses belonging to the Prophet ﷺ) and my pulpit is one of the gardens of Paradise, and the pulpit is one of the gates of Paradise. During the life of Prophet ﷺ, his houses were situated from the south eastern corner of Masjid Nabawi, where visitors now stand facing the Muwajaha to greet the Prophet ﷺ and his companions, up to the north eastern corner of the mosque. Therefore, they extended along the entire eastern wall of the mosque. From the north eastern corner, they further extended along the northern wall up to the north western corner. The Rawdah would then extend from the Prophet’s ﷺ pulpit, positioned about midway along the Southern (Qibla) wall of the mosque, up to his houses, which were spread along the eastern and northern walls, until the old Bab al-Rahmah (Door of Mercy). Furthermore, some scholars opine that the narration which reads “Between my house and my pulpit is one of the gardens of Paradise”, the word “house” should be interpreted to mean all of the houses of the Prophet ﷺ, rather than only Aisha’s house, which later came to contain his blessed grave. Between my house and my musallah is one of the gardens of Paradise. This narrations extends the Rawdah from the Prophet’s ﷺ tomb all the way to the musallah area, which was where the Muslim community would perform their Eid prayers, located beyond the built-up area of Madinah near Masjid al-Ghamamah. Sa’d ibn Abi Waqqas I, one of the ten companions promised paradise by the Prophet ﷺ, built a house west of Masjid Nabawi within the area described in this narration, in order to receive the blessings of living within the area of the Rawdah. Aisha and other companions M approved of his actions for that very reason. Considering the aforementioned hadiths, it seems the Prophet ﷺ is describing the same garden of Paradise, which extends throughout all of the areas regardless of whether he mentioned a smaller or larger part of it at any particular time. There are differing opinions about the Rawdah being of the “Gardens of Paradise”. Should the hadiths regarding this sacred area be taken literally or metaphorically? Some scholars are of the opinion that the Rawdah is like the Gardens of Paradise, in that the peace and tranquillity one feels when worshipping in the Rawdah resembles the peace and tranquillity of Paradise. Others have said that this area is a gateway to the gardens of Paradise and the Pool of al-Kawthar for those perform good deeds in the Rawdah. In other words, the Prophet ﷺ is urging worshippers to perform righteous acts within the Rawdah so they will be able to drink from al-Kawthar and attain Paradise on the Day of Judgement. Other scholars have interpreted the Rawdah as being parallel to a garden above it in Paradise. On the other hand, Imam Malik I and many other scholars are of the opinion that there is no need to further interpret these narrations because the literal meaning is credible and there is nothing in the Qur’an and Sunnah that opposes this notion. According to these scholars, this very tract of land was bought to the earth from Paradise and will be returned to Paradise after the Day of Judgement. The boundaries of the Rawdah today are marked according to the first opinion i.e. the Rawdah is the area between the tomb of the Prophet ﷺ of his pulpit inside Masjid Nabawi. This area was adorned significantly during the Ottoman era in an effort to sanctify and highlight its significance. Today, the colour of the carpet defining the area of the Rawdah is light green and has a floral design, in contrast to the rest of the masjid, which has red carpeting. Part of the Rawdah also lies inside the Sacred Chamber of the Prophet ﷺ beyond the gold grill and is inaccessible to the public. There are also six pillars within the Rawdah which hold special significance. There are two entrances to the Rawdah which are normally guarded by police officers. The area is only hold able to hold several hundred at once people so accessing the Rawdah area may be difficult, especially during the Hajj season. You may need to wait for some time before a spot is vacated and you’re allowed entry. Make sure you behave with decorum within Masjid Nabawi; if you cannot find space in the Rawdah, don’t push or behave aggressively towards others in an effort to enter the blessed area. If you find yourself waiting, now is a good time to send Salawat on the Prophet ﷺ and engage in Dhikr. Women can enter Masjid Nabawi using gates 21-25. Gate 25 is the closest to the Rawdah area. Pray two Rakahs Nafl behind one of the sacred pillars, preferably behind the Pillar of Aisha (Ustuwaanat Aisha). Aisha J is recorded to have said that if people knew the significance of praying in this spot, they would draw lots for a chance to pray there. Make an abundance of Dua – the Rawdah is a place where supplications are accepted. Ask for forgiveness near the Pillar of Repentance (Ustuwanah al-Tawbah). Send an abundance of Salawat upon the Prophet ﷺ. If there is a lot of crowding, do your best to make space for others. The Rawdah is rectangular in shape and measures 26.5 metres in length from east to west, although part of it lies in the Sacred Chamber so the accessible area is 22 metres long. From north to south, it measures 15 metres. The total area of the Rawdah is approximately 397.5 square metres. Each of these pillars has special importance, explained here. As well as the pillars, the Prophet’s minbar (pulpit) and mihrab (prayer niche) are also located in the Rawdah. 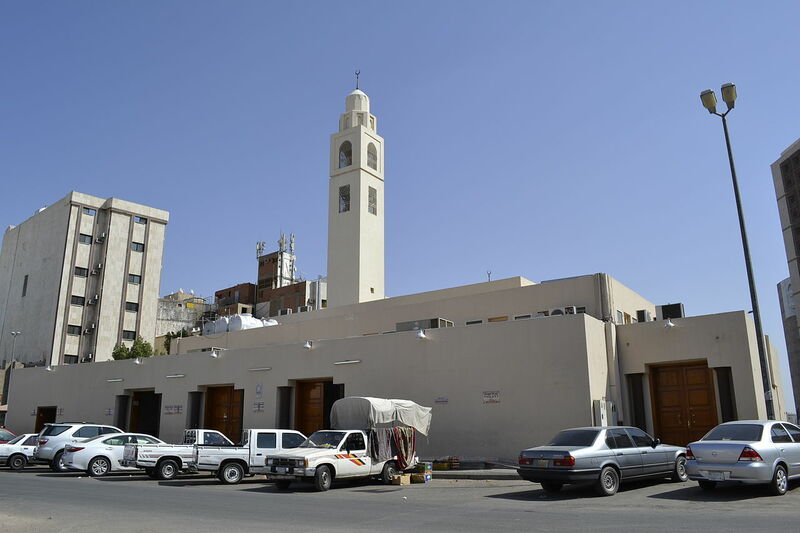 Masjid al-Rayah (Arabic: مسجد الراية), also known as Masjid Dhubab (Arabic: مسجد ذباب) is a small mosque which marks the site on which the Prophet ﷺ pitched his tent prior to the Battle of the Trench.